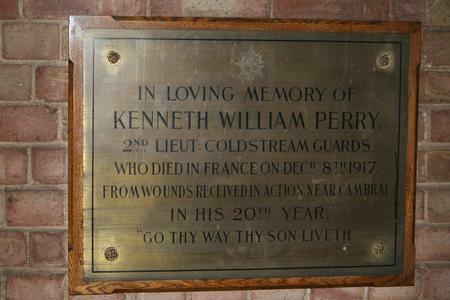 Brass plaque, set on a wooden base, with a single black line border and regimental badge at the top. The lettering is in black. 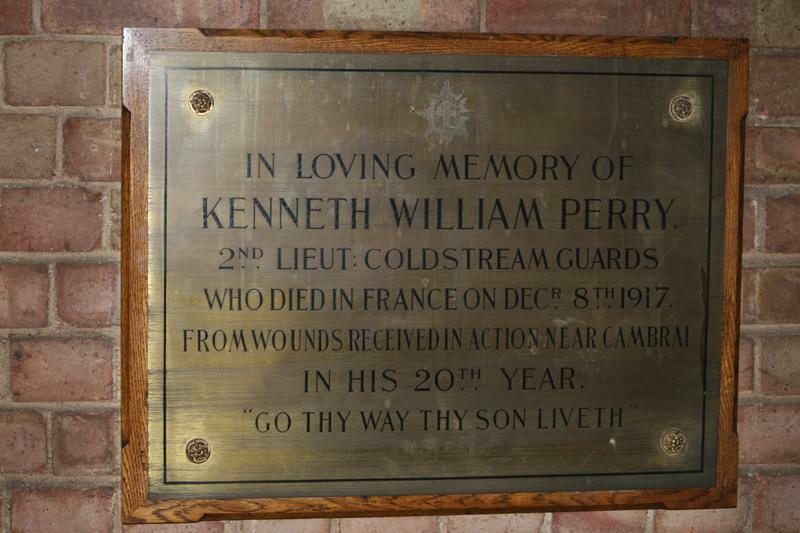 IN LOVING MEMORY OF/ KENNETH WILLIAM PERRY/ 2nd LIEUT: COLDSTEAM GUARDS/ WHO DIED IN FRANCE ON DECr 8th 1917/ FROM WOUNDS RECEIVED IN ACTION NEAR CAMBRAI/ IN HIS 20th YEAR./ "GO THY WAY THY SON LIVETH."